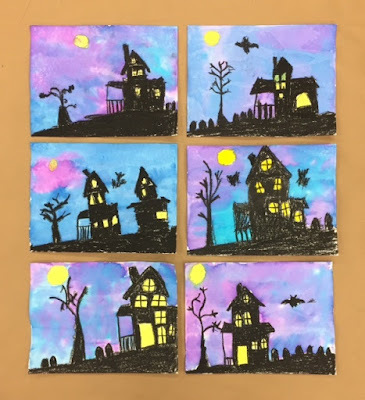 Teaching visual art to young children through various projects. Chalk Pastel Bunnies for Easter April 13, 2017, 12:31 a.m.
How adorable are these little guys?!? 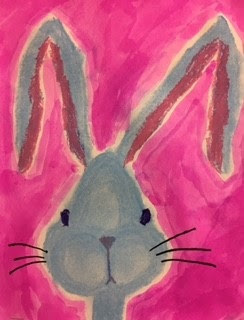 I experimented with a new bunny portrait lesson this year. 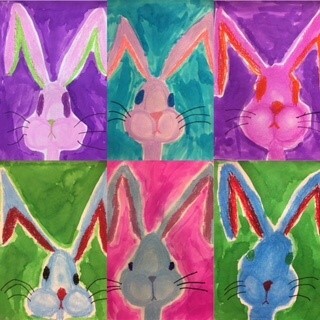 These bunnies were created by my little Grade 1 and 2 artists. 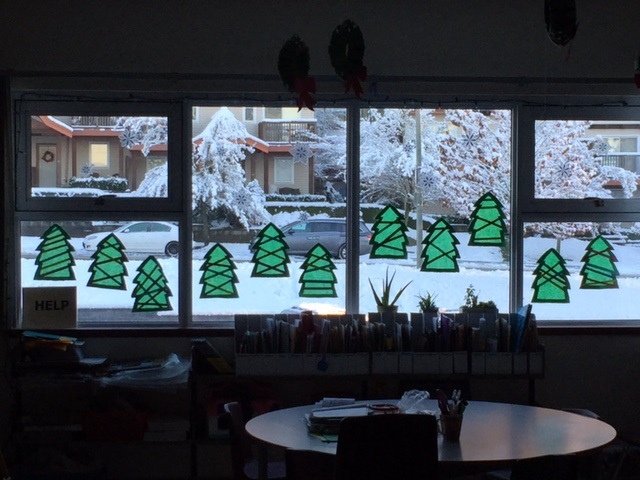 Stained "Glass" Trees Jan. 2, 2017, 6:20 p.m. Haunted Houses Oct. 24, 2016, 1:43 p.m. These amazing haunted houses were created by my Grade 1/2 class. I used this lesson idea by Art Teacher in LA. Get a ranking widget for your website! Include the following code in your website to show off your site's rank on TopTeachingSites.ca! Our goal is the gather the best teaching sites and blogs in Canada for our Canadian teacher friends.